Grape Seed Oil’s best attributes is it’s health-promoting properties. 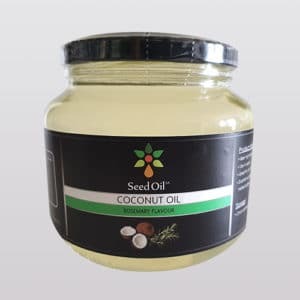 This oil offers a high level of Vitamin E, a strong anti-oxidant, one of the lowest levels of saturated fat and the highest levels unsaturated fat. 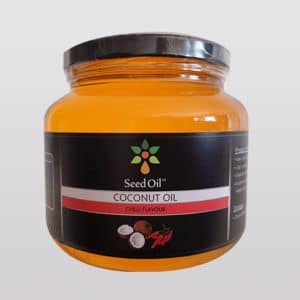 High in linoleic acid which is an essential fatty sacid that the body needs, but can’t produce. Grape Seed Oil has a high smoking point (that is the point at which heated oil becomes harmful to consume) of 242℃ and is therefore ideal for cooking, deep frying, grilling, stir-fry, braaing, baking or over salads. Grape Seed Oil has good emulsifying properties and is ideal for whipping up home made mayonaise, works well in salad dressings and is a delightful addition to marinades. This is pure Grape Seed Oil with a Black Truffle flavour for great taste to food.